An MEP who voted for the copyright laws that critics say would break the Internet is now expressing shock over what he voted “yes” to. The copyright law that would usher in link taxes and upload filter was passed just two days ago. The law, which was the subject of a heavy lobbying campaign by major corporate interests such as major record labels and movie studio’s, was passed after a nearly identical law was rejected back in July. But the MEP Voss admitted, “I didn’t know that this was in the proposal so far, so of course I have to deal with it now. I do not consider that the commission and council will have this inside the proposal.” Voss added that “because of the time pressure” and general focus on other, more notable aspects of the law, it’s possible that the measure was insufficiently scrutinized. 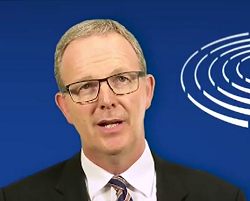 But he reassured Karlsten that MEPs will be meeting again to go over the law in its entirety. “Of course we have to discuss this,” he said of the provision in question. Karlsten notes that MEPs complained at a press conference after the vote yesterday that Facebook and Google tried to manipulate their votes with email campaigns, ignoring the fact that messages were also sent by concerned individuals. “They do not believe people in Europe really are worried about what this directive will bring,” the Swedish reporter contends. The reporter believes the copyright rapporteur was either deceived or indifferent. Either way, that’s not a great sign. The fact that lawmakers had no idea what was in it is particularly stunning given the massive letter writing campaigns, phone campaigns, petitions, and the massive amounts of public awareness going around for the last several months. If anything, if there is concern that a member can’t make an informed decision, why don’t they, at minimum, abstain from voting in the first place? If anything at all, it shows further evidence that these laws should never have been passed at this stage. Because of this vote, Europeans are facing the real possibility that their Internet could be under a significant threat. Still, it is worth pointing out that us and others have made the point that the fight is not over. There are still a whole series of steps that this legislation has to go through before it becomes law. So, as stated multiple times already, there is still time to save the Internet.